I’ve posted a few workout ideas over the years and this year I plan to do more, to help the people out there who need workout ideas, especially sessions you can do at home, with minimal equipment. 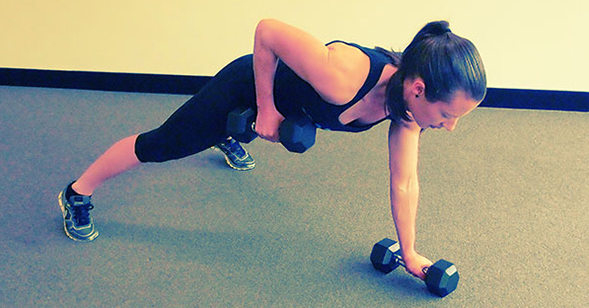 The workout below will just require you to have two dumbbells. The ability to interchange the weights to suit the different exercises would be great, but not necessary if you don’t have them available. If you feel like an exercise is a little too easy with the dumbbells you have, increase the repetitions you do. If the weight is too heavy, decrease the repetitions. Superset the following exercises. This workout should take approximately 30 to 40 minutes. Enjoy! You can also find more exercise ideas, by visiting the Thrive PT exercise library.